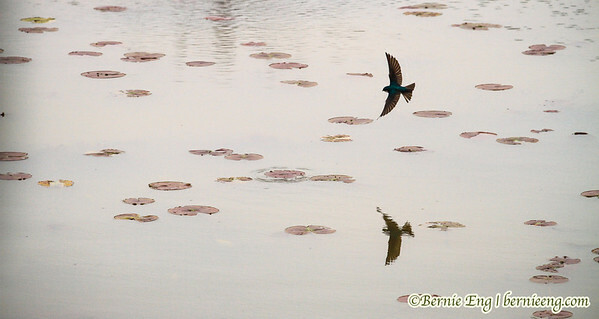 International Migratory Bird Day and Mother's Day fall on the same weekend. As if we need an excuse to spend some time with Canada goose and tree swallow families at Crow Island in Saginaw. A tree swallow mom's nest-building work is never done. And dad is such a critic as the swallows become residents of a sidecar on a wood duck nesting box at Crow Island in Saginaw, MI. 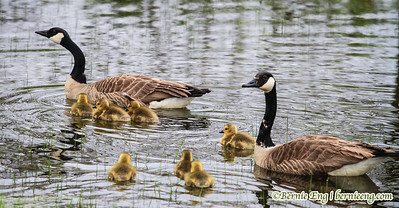 Goslings follow the leader near Crow Island in Saginaw, MI. 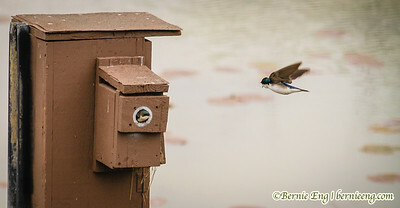 Male tree swallow does a bit of hunting as mom builds the nest at Crow Island. Goslings follow along single file, for the most part, near Crow Island.